Zipporah is a market leading force in the local government sector in the UK providing a range of solutions to councils that deliver online self-services for the public while providing more efficient solutions for management and fulfilment of service requests to council staff through a combination of integration and innovation. These include delivering eBookings, eCommerce, leisure management, scheduling and queue management solutions. The company has grown rapidly in recent years and has increased its client base through its reputation for delivery and support to its clients. The company currently supplies online business solutions to over 60 local authorities in the UK, ranging from single applications in specific departments or service areas, to full corporate systems that are used in multiple areas across the whole of an authority. As well as a large client base within the UK, Zipporah has achieved some impressive contract wins overseas, supplying a solution to the Health Service Executive in Ireland and recently setting up an Australian office. Prior to setting up Zipporah, the company’s two directors worked for a large organisation that placed emphasis on profit margins rather than the quality of their service. They believed that you could provide a quality service at the same time as running a profitable company by balancing how you run the organisation. Their vision of how a successful organisation should be run included creating a team with the right skills and providing training in order to motivate and get the best out of them on an on-going basis. This understanding of client requirements resulted in the adoption of a business model that took into account the price of licensing, support and maintenance agreements, and the cost of overheads. As a result, the company was able to create a brand that depicts a reputable image in the clients’ minds. The main factor that has contributed to the rapid growth of the business is the strong Zipporah team. All employees are fully trained, appropriately skilled and most importantly understand the company’s ethos of being both professional as well as approachable. This enables all staff to provide clients with a good support structure, and ultimately maintain Zipporah’s reputation for excellent customer service that will allow the business to grow further in years to come. The company also invests heavily in R&D to keep up with recent technologies to ensure that the solutions do not get left behind and liaises regularly with clients to ensure that the solution is working. Finally, the company has a great ability to find gaps in the marketplace and has successfully expanded into the international market place, recently setting up an Australian office in Sydney on the back of two contract wins with local authorities in the area. 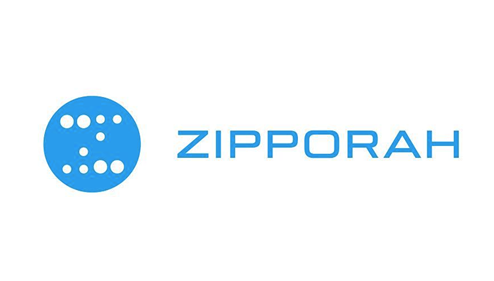 Zipporah’s vision for the next five years is to become a global brand and the directors are working to develop branches in different countries, building a client base and reputation in these new geographical markets. As well as continuing its success in Australia, the company is hoping to move into New Zealand, Canada, North America and South Africa in the next few years. As well as growing globally, the company will also be working to grow their UK client base - there are over 400 local authorities and every one of these could be a potential client for Zipporah. They are also hoping to increase the number of staff in the next five years from 16 to 25, including overseas positions.